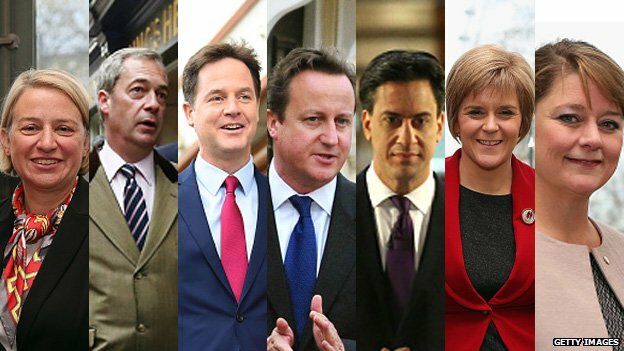 Thursday 7 May 2015 is polling day and regardless of your political affiliation, employment policy is an important factor in helping us decide who to vote for in the coming UK general elections so Strike-Jobs.co.uk has accrued information about individual policies from some of the most popularly featured parties in the UK to help you out! With a name like theirs it’s no surprise that The Labour party has the most extensive outline of their planned employment policies for the UK. The labour party claims that they will guarantee employment for any adult who has been unemployed for over two years. Further more the people aged 18-24 will be guaranteed either a job if unemployed for over a year, or at least work experience or a training place if unemployed for more than six months. Also by 2025 Labour plans to ensure that the number of students going into university will be matched by the number of people taking up an apprenticeship. Labour plan to ban the zero hour contract to ensure that workers are fairly paid and to create one million new ‘green’ and ‘high technology’ jobs. The Conservatives are most concerned with benefit fraud and as such plan to make cuts to benefit funding and, with the money saved, plan to create ‘three million apprenticeships’, making people work for their money. On the other side of the spectrum are The Liberal Democrats who have pledged to add an extra £1 per hour for the lowest paid apprenticeships and also to create one million more jobs in general in the UK. The Scottish National Party, with power to change public sector policies is focusing on securing a living wage for all Scottish government contracts. Also concerned with positive discrimination, SNP wants to introduce gender quotas on public boards, they also plan to continue with the ‘small business bonus. With their heavy focus on the negatives of immigration UKIP plans to make it legal for employers to discriminate against non-British workers and able to give priority to British workers regardless of merit. Finally The Green Party claims that their national energy conservation scheme will help create thousands of new “sustainable jobs” and promote the local production of food and goods. This entry was posted in General Posts and tagged employment. Bookmark the permalink. ← Is the person behind your Social Media really the Social Stig-ma ?